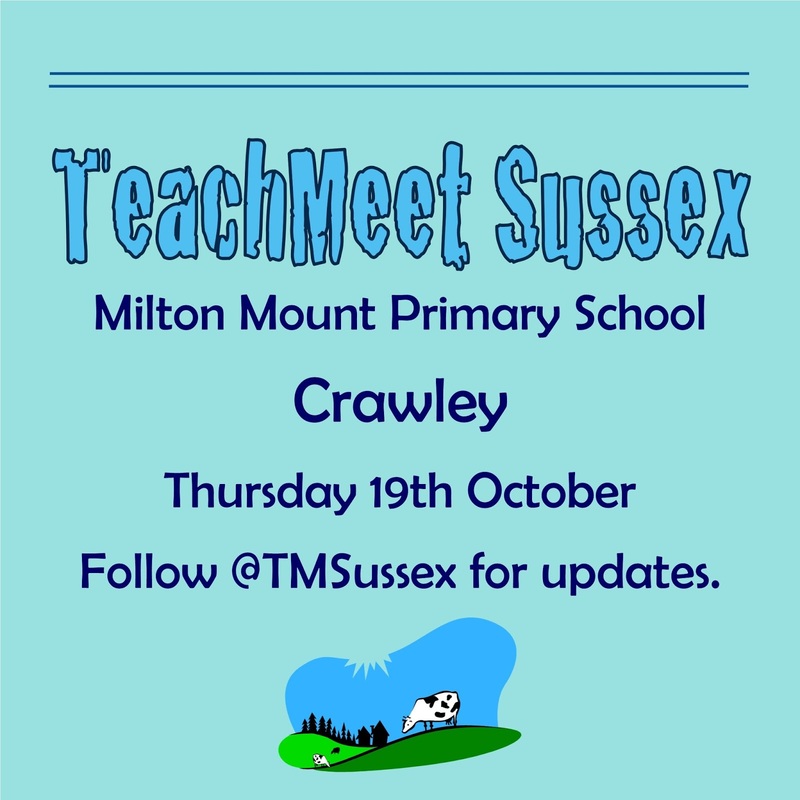 Location: Milton Mount Primary School, Grattons Drive, Pound Hill, Crawley, RH10 3JP. Refreshments including delicious cupcakes from 4:30pm onwards and an optional meal afterwards at a local pub. TeachMeets are free events which thrive on people sharing ideas so please consider presenting something which you've used in your classroom. It could be to do with your day-to-day work, a specific subject, technology, the classroom environment or anything else. We ask that ideas shared be about real classroom practice so people can go away from the event and implement them in their own classroom. We also ask that ideas are focused on the impact in the classroom, not on the advertising of a particular product, especially if there is a great cost. Organisations, please note we are only having a very limited number of presentations which are not from teachers so please show interest to present below and someone will be in touch with you about your idea.